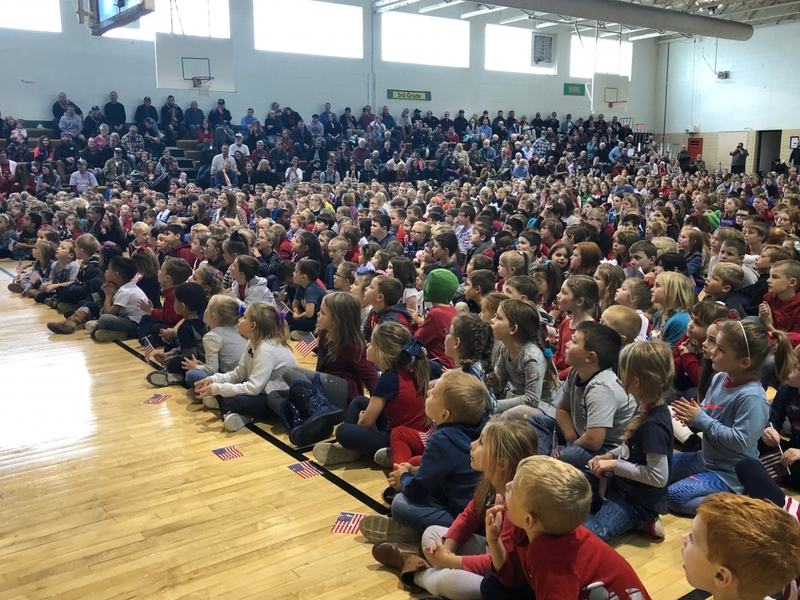 Students and staff at Salem Twp. 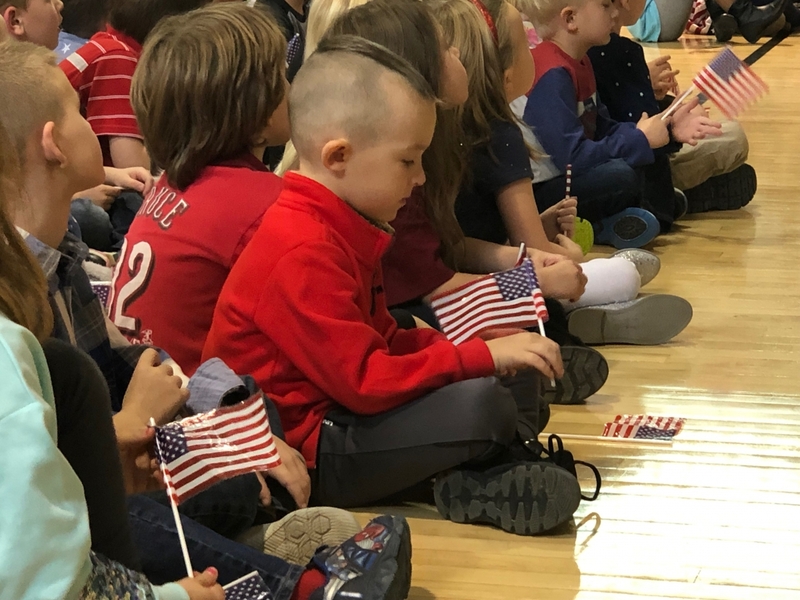 Elementary School recently took time to honor veterans at an all-school assembly. 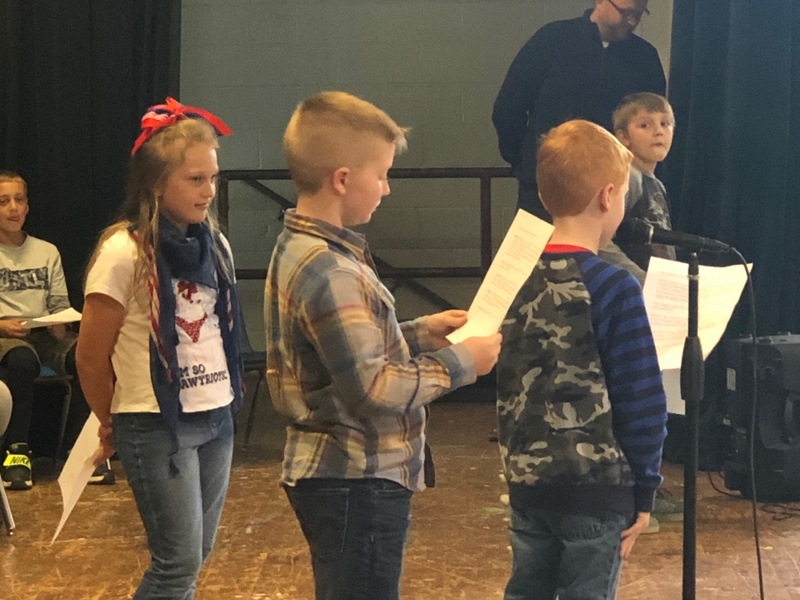 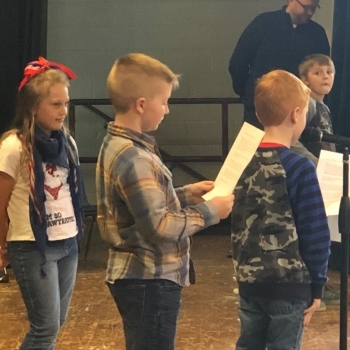 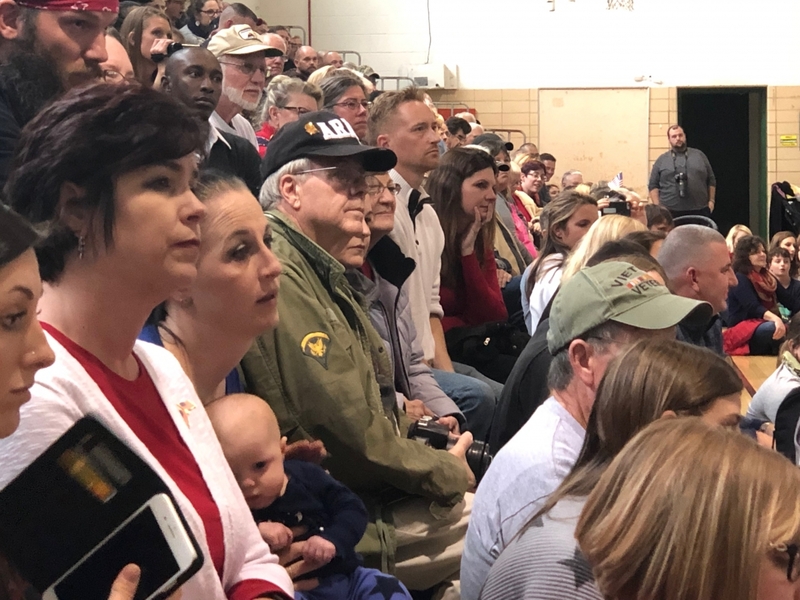 In what has become a huge annual event, veteran guests of dozens of Salem students were treated to poems and speeches written by students, patriotic songs and refreshments. 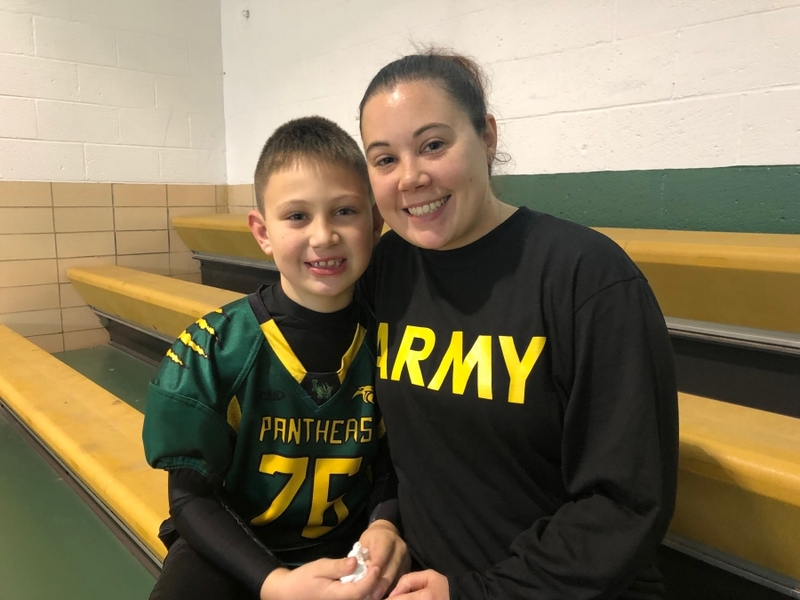 The celebration had special meaning for fourth grader Tyler Watkins and his family. 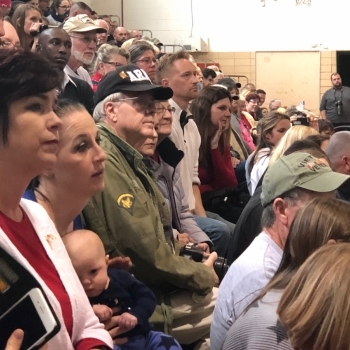 Tyler's dad Danny, a Little Miami graduate and supply specialist in the Army, headed out for training the previous day in order to be deployed overseas in the near future. 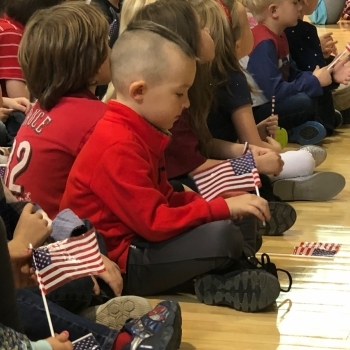 Tyler attended the Veterans Day celebration with his mom Jessica, also an LM grad. 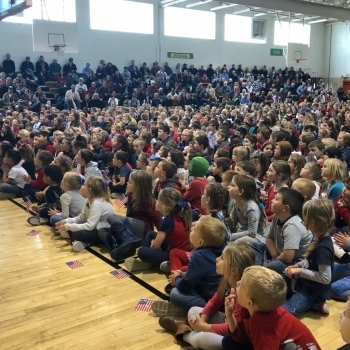 Check out the photos of the festivities!